Join me for a trip down memory lane in my childhood bedroom. This was a wild game, with all three players in the red during the first round and an Antepenultimate Wager that Ramona botched. She nabbed the $2,000 penultimate clue to correct her mistake and jump into the lead. If Vaughn doubles his score, he’ll have 23,600. To cover this all-in wager, Ramona will need to wager 11,000. An incorrect response with that wager will leave Ramona with 1,600. 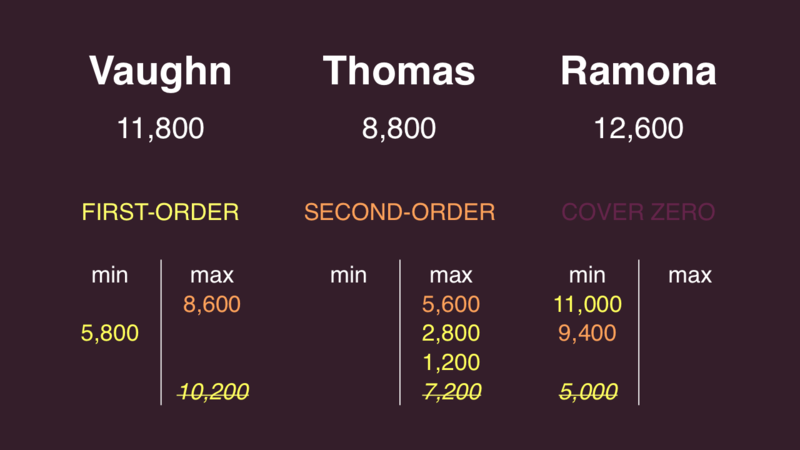 To stay above her total, Vaughn can wager up to 10,200, and Thomas can wager up to 7,200. 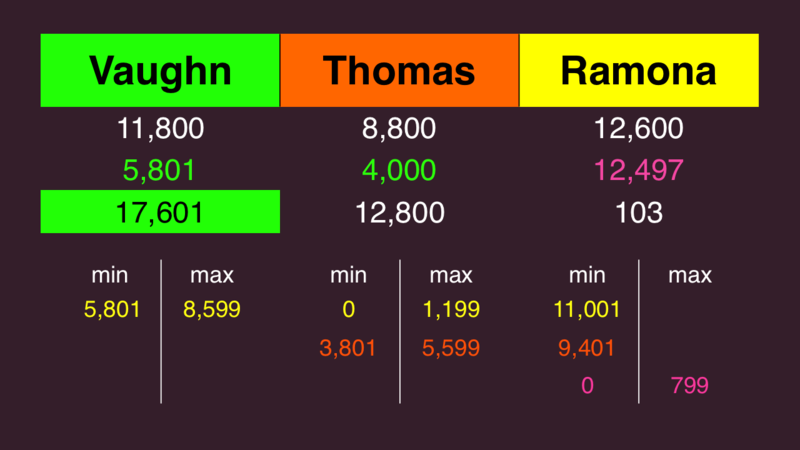 A successful doubling will put Thomas at 17,600. To cover this, Vaughn should wager at least 5,800. 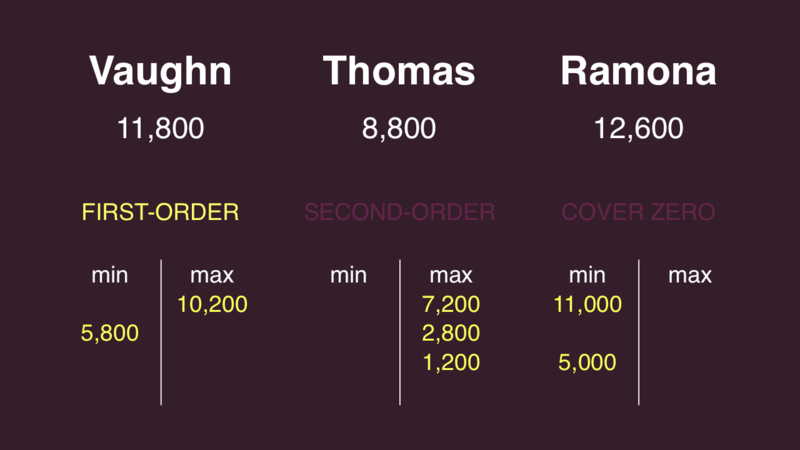 If Vaughn makes the rational maximum wager of 10,200, Ramona will need to wager 9,400 to cover him. 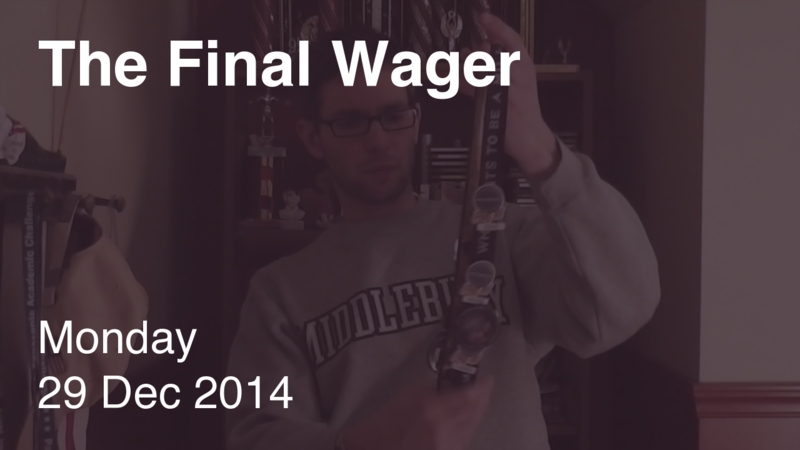 If she’s wrong with that wager, she’ll be left with 3,200. To stay above her, Vaughn can wager up to 8,600. Thomas may risk up to 5,600. We can ignore most of the other possibilities. 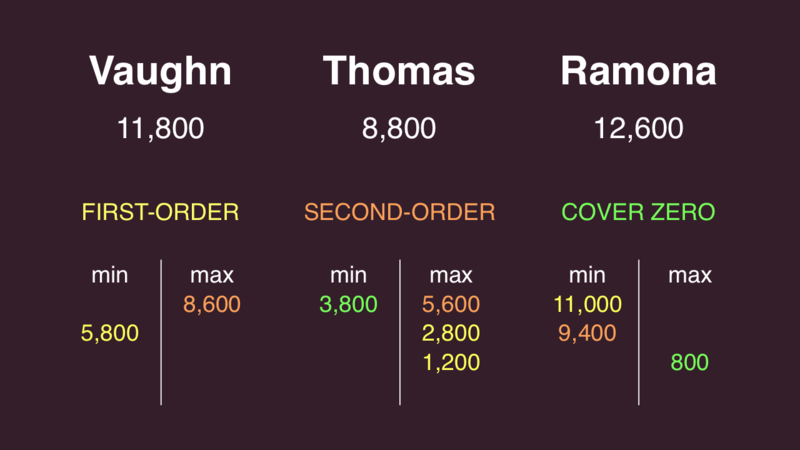 The only zero-cover wagers belong to Thomas on his alternative range, and Ramona on her “please let this be a triple stumper” range. Then we add and subtract the single dollars as appropriate. I don’t have too much of a problem with Ramona’s outsize wager; odds are good one or both of her opponents will keep plenty of money. Vaughn looks to break our five-week 3-game drought tonight. Will he do it? See my 12/23 comment for details. In the last 10 games (counting tonight) we have the following result: In 2 cases all three got it right = easy. 5 cases of 1 right + 2 cases of 2 right = 7 ok and 1 case of 0 right = hard. So that’s a “final jeopardy degree of difficulty = just right” score of 70%.